Initially this letter came from a place of heightened disbelief and anger, but after some time and deliberation, and subsequent to reading the full article you wrote for the Daily Mail, it comes from a less fraught perspective. You will no doubt be unsurprised to read that I am writing to you in response to your recent comments about Whitney Houston (RIP). When I first read your tribute, I was utterly incensed. Not because I was shocked by the knowledge Whitney Houston had previously enjoyed a relationship with a woman, but that you felt it necessary to mention it. As a person of sexual diversity, this news (although not wholly new to me) had little to no impact on my thoughts of Whitney. Interestingly, I could no longer locate the original comment – I wonder if you have since removed it? If so, I’m eager to learn your reasoning. I am one of many people who have challenged you on Twitter about this, and my tweet was “Whose truth? Just because you knew her once doesn’t mean you KNEW her. Even if it is true it doesn’t make it yours to tell.” This was in response to your insistence that all you have done is tell the truth. Admittedly, I hadn’t read the full article at the time of tweeting, but I still believe you should have omitted these comments. You state that earlier sources had also ‘outed’ her, but I do not think this gives anyone free reign to continue – there’s a whole world out there, and masses of people who previously had not known this ‘truth’. You surely realise this? Moreover, the key point in all of this is that Whitney herself never made this information public. Do you really think it fair or just, to release such information mere days after her sad passing? 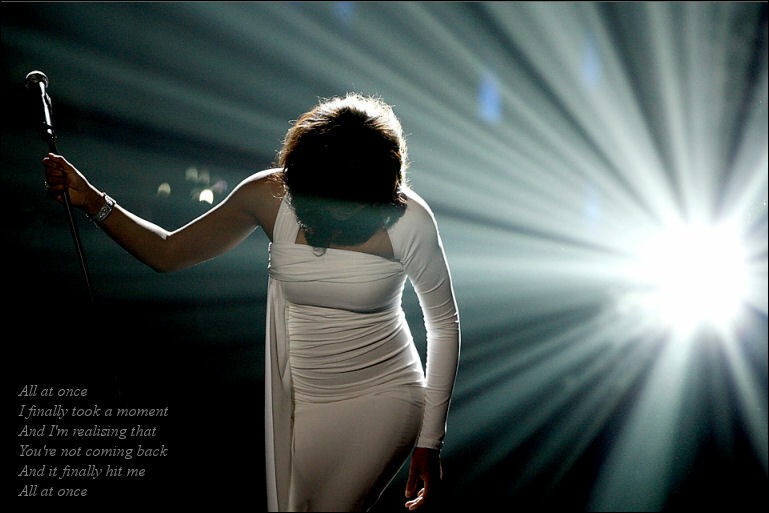 You could have equally paid tribute without such comments, and without assigning blame for Whitney’s demise to homophobia and her own unhappiness about ‘concealing her sexuality’ – which you yourself say she hasn’t fully done, in dedicating albums to her former partner. My opinion on your reason for making these comments is this – you wanted to highlight your own cause, which is indeed extremely worthy. You released the bite-size comment knowing full well the backlash you would receive, and subsequent dialogue regarding sexuality and homophobia. This is a shrewd move, but nonetheless, I find it callous. It may, of course, be that you hadn’t expected any such response, but as you are such an educated and intelligent person, I struggle to believe this is in any way down to naivety. Can you honestly say you know completely that Whitney’s ‘destructive behaviour’ was down to ‘hiding her sexuality’ (again, you say she in part, didn’t)? Furthermore, do you think it appropriate to highlight her alleged sexuality so close to her untimely death? This, Peter, is what I have issue with, still. Regardless of truth, judgement or otherwise, there is no justification for releasing information of such a personal nature when it is not already common knowledge and without the express permission of the named person. I find it self-serving, insensitive and irrelevant, and to be frank, I believe that you of all people should know better. Of course there is nothing wrong with the fact itself, but its delivery is another matter. In fact, I believe it could be negative to your cause to have said these things. I ask you this – would you ‘out’ someone who is still alive, simply because it’s true?